Follow the directions for Blue Ball Yard but continue past Blue Ball Yard, cross St James's Place and Little St James's Street. Carry on to the end of the road and turn right into Cleveland Row. Russell Court is a few yds on the right. The somewhat present misleading direction of Russell Court which turns westward naturally raises the impression that it at one time emerged into Little St James's Street. In fact Russell Court used to turn east and link with St James's Street, around the back of St James's Coffee House, owned in 1690 by John Gaunt. Business was not always as lively as it could have been at the house; it started off as a swinging success but under successive ownership's following Gaunt's departure in 1706 there were many long years of hard times. It was the unfortunate burning down of White's Chocolate House in 1733 that gave the Coffee House its much needed lift. As a temporary measure Francis White transferred his business to the Coffee House and the two traded side by side until the gutted shop was rebuilt. St James's Coffee House was thus saved from possible extinction by the fame and reputation held by White's. In order to find Mr Russell we would need to go back further than the time of the St James's Coffee House, to about 1660 when he and his family lived in a house sited around the angle of the Court. Nothing really has come to light regarding Russell or his family although it seems pretty certain that he was a man of reasonable means and status. With regard to social standing, thing have changed little in these parts; St James's was just as fashionable in the 17th century as it is today and Russell Court has always been in the midst of the activity. Cleveland Row, from which the Court branches, was a favoured locality for the rich and famous, of creditable and the not so creditable spheres of life. In about 1670 John Ogle, known as 'Mad Jack' from his eccentric escapades, lived here. Always game for anything to attract public attention he excelled in flamboyant duelling artistry and was frequently on show in selective gambling dens. Through back-door means he was quickly elevated to a high ranking army officer but could not match the life and ridicule forced him to resign. He died of over-indulgence in 1685. A few doors away was the residence of Madame Elizabeth Mitchell, high flying lady offering entertainment to gentlemen of a noble background. Among her clients were the local landed gentry, VIP's from St James's Palace and it was not unknown for the Prince of Wales to take time out for a little of the 'how's your father'. In later years Miss Mitchell founded an agency for the prime purpose of matching quality ladies with gentlemen of equal breeding for casual meetings. She remained at Cleveland Row until 1785. From St Paul's Station walk east along the north side of Cheapside. Cross Foster Lane, Gutter Lane, Wood Street and then turn left into Milk Street. In about 45 yds turn right into Russia Row. Russia Court is about 20 yds on the left. Situated in an area rich in age old alleys and narrow streets which have remained unchanged for centuries, Russia Court is a relative new-comer. It first appeared on the scene in about 1815 when the overflowing traders of the ancient Honey Lane Market were still setting up their stalls in every available crevice. A century earlier, the milk sellers around the corner tethered their cattle to posts driven into the ground, but only the name - Milk Street - survives to recall those smelly old days. In this street was the church of St Mary Magdalen, built in the early 12th century and burnt down on the 4th September 1666, never to be rebuilt. An air of ambiguity lingers over the naming of Russia Court, for it apparently had no connection with that country, and neither did its traders or residents. Very little now remains of the Court and recent restructuring of this area has caused the Court to submit to modern times. Severely truncated, it exists as a short paved inlet merely providing access to the 'Udder Place', a pub and wine bar where the younger set are amply catered for. From Green Park Station walk along the south side of Piccadilly, towards Piccadilly Circus. Cross Arlington Street then turn right into St James's Street. Cross Jermyn Street, then in about 55 yds turn left into Ryder Street. Ryder Court is about 20 yds on the right. This is a narrow Court and leads between the properties fronting on to Bury Street and St James's Street. There are no great delights here, but the opportunity to savour your imagination of the past while wandering aimlessly through Captain Richard Ryder's creations of Ryder Street, its Court and its Yard. The Captain was a carpenter by trade who happened to carry out the odd job for Charles II. There can be no doubt that he was a superb craftsman and the King recognised his talents by appointing him Master Carpenter to His Majesty. Although Ryder acquired this plot of land in the 1670's through deceiving the parish council and stealing its property, the King turned a blind eye and it was on his nod and a wink that the captain was granted permission to build the street and its byways. Towards the end of the 17th century a small French community grew up around this quarter of St James's and to support their spiritual needs a French Protestant church was built in Ryder Court. From Green Park Station walk along the south side of Piccadilly towards Piccadilly Circus. Cross Arlington Street then turn right into St James's Street. In about 55 yds turn left into Jermyn Street and at the first right turn into Bury Street. Ryder Yard is about 20 yds on the left. The Yard is the creation of Captain Richard Ryder who also built the Street and Ryder Court towards St James's Street. From Tottenham Court Road Station walk west along the south side of Oxford Street. Cross Soho Street. In about 90 yds turn left into Dean Street. Cross Fareham Street, Diadem Court (both on the right). Cross Carlisle Street. St Anne's Court is then about 35 yds on the right. This area, and particularly Wardour Street, is the centre of the film industry in London so it will come as no surprise to find the offices of World Wide Pictures at numbers 21 to 25. Casper's Restaurant and Bar is along the south side of the Court, and for lighter refreshments the Court Caf� is at number 28. Approaching the western end the Court becomes narrower and on the left is Clarion House owned by the Soho Housing Association, providing accommodation for local families at reasonable rents. The block stands on the site of the 'model flats' for working classes built by William Burges in 1865 and demolished in 1967. They looked for all the world like the bleak barrack dwellings of the Peabody Estates. All this land was once owned by the Crown and in the 17th century it was acquired by the Duke of Portland. For nearly two centuries the Court remained active as a settlement for political refugees from France and Switzerland. Nearby is the tower of St Anne's church, after which the Court is named - its nave was destroyed by bombs in 1941. The church was consecrated on the 21st March 1686 by the Bishop of London, Henry Compton. It was a hasty occasion brought on by an Act of Parliament which stated that it was to be a parish from the first Lady Day following the consecration. Lady Day was less than a week away and the service had to be performed on a Sunday. Had it not been consecrated on that day, the church wood have stood idle for a whole year. The peculiar tower, added in 1806 when much development was taking place round here, is all that now remains. On the wall is a memorial to Baron von Neuhof, that strange character who settled in France, then took up office in the Swedish forces, was active in the Jacobite plots, and then in 1736, by some quirk, donned the crown as King of Corsica. His subjects soon threw him out, forcing him to leave the country, and he came to Soho looking for compassion from the charitable English. With equal hostility they gave him the cold shoulder and he died without a penny to his name in a debtors prison. Also commemorated on the tower wall is the writer William Hazlitt, who also died in poverty in 1830 at number six Frith Street. Off the south side of Fleet Street, approximately 75 yds west of Ludgate Circus. 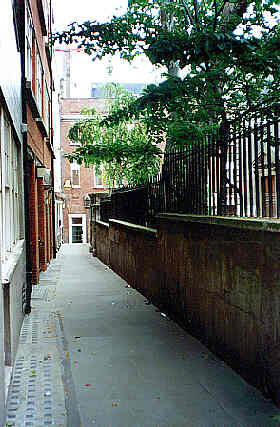 Bride Avenue is the narrow alley which leaves Fleet Street almost opposite Shoe Lane and turns eastward to pass between St Bride's Church and the rear of the Old Bell Inn, with an additional branch leading by way of a wide covered path into Salisbury Court. It was once a significant passageway, arched over at the Fleet Street entrance, but is now open to the elements and serves merely as a short cut, for those in the know, between New Bridge Street, Fleet Street and the Bishop of Salisbury's Court. The rear entrance to the Old Bell, by which most of the regulars arrive, is really quite unobtrusive; a plain door devoid of any accompanying signs leaping out to declare the facilities on offer. Inside, there are no plush carpets or secluded lighting, no gimmicky themes - the Bell is a solid pub and exists for the solid City drinker as it was originally intended. It stands on the site of the Swan tavern, where Wynkin de Worde, assistant to William Caxton, is supposed to have used a room as his workshop. When Sir Christopher Wren drew up his plans for rebuilding St Bride's church in 1671 he constructed the Bell as accommodation for his men working on the site. Available food is basic; a sandwich, a roll, or a pie, all displayed, with accompanying plastic banana and orange, in the little glass case on the bar. The Bell has stood the test of the ages and has emerged with first class honours.  Its clientele used to come mainly from the newspaper trade; journalists, printers, and men of advertising jostled for a place at the antique counter. Now that the newspapers have moved to other parts and almost brought to an end the centuries old street of print, the clientele is more varied. How Fleet Street, or St Bride's Avenue would survive without the Old Bell is beyond contemplation. From Ludgate Circus walk along the south side of Fleet Street for about 100 yds. turn left into Salisbury Court and about 70 yds turn left. St Bride's Fleet Street is enclosed in a quadrangle of alleys all bearing its name - Avenue on the north and west sides, Lane to the east, and Passage on the south. However, the naming has not always been so intimate; the Passage used to be known as Bells Buildings, but that name was discontinued at the beginning of the 1900's to bring it into the fold. St Bride's Passage is now a cul-de-sac and leads from Salisbury Square through a covered opening to an wider yard where the St Bride's Institute occupies a site at the far end. From the opened out Passage the view of St Bride's church is something of a variation from that experienced from other angles. At the time of the Great Plague, John Milton was living at a tailors house in St Bride's Passage. To avoid catching the dreaded disease he moved to Chalfont St Giles and afterwards, when the all clear was sounded, took up residence at a house in Artillery Walk, Bunhill Fields, where he spent his final days. From Bond Street Station cross to the north side of Oxford Street. St Christopher's Place is easily identified by the ornamental clock standing on the edge of the pavement outside Gee's Court, about 15 yds east of James Street. Turn into Gee's Court and cross Barrett Street to find the Place. In the same mode as Gee's Court and Barret Street this enchanting Victorian street, once called Barrett's Court, has been pedestrianised and the tiny shops have been restored to their 18th century likeness. A plentiful array of hanging sign boards add to the authenticity. Boutiques make up a large percentage of the shops in the Court but a sufficient selection of outlets for other wares contribute to a very worthwhile browse. The whole length of the Court is adorned with a mass of potted flowers and shrubs, all automatically watered from sprinklers above. There is a proliferation of eating houses including Masako Japanese Restaurant at number eight, an Austrian restaurant at number nine, there is a Thai restaurant, and just before emerging into Wigmore Street, an English cafe with outside tables. Also at the Wigmore Street end is the decoratively painted Pontefract Castle Tavern with its St Christopher's Bar. Then, in keeping with the charm, a graceful ornate iron arch with centre light looks onto Edward Harley's Wigmore Street. St Christopher's Place exists today as a proud and worthy memorial to Octavia Hill, housing reformer and a founder of the National Trust. She was educated at Queens College and with the encouragement of John Ruskin went on to become one of the most enthusiastic activists for the clearance of slums. Her first project was commenced in 1865 but the greater part of her work was carried out from 1884 to 1888 and her efforts were probably the instigating inspiration for the newly formed London County Council to continue with the work. In the mid-19th century Barrett's Court was a truly filthy place; a typical uncared for back alley, a repository for waste and rubbish. Octavia Hill came across the Court in 1870 and was so shocked at the state of dilapidation that she bought it in readiness for preparing future plans. Renovation work was put into operation in 1874 and at the beginning of 1877 all the newly refurbished shops were let, and Miss Hill commented that it was 'going so beautifully'. Octavia Hill clearly held strong reasons for renaming the court St Christopher's Place; she was affectionately drawn to the saint, and his principles, she thought, seemed right. Three cheers for Octavia Hill! From Monument Station turn onto Eastcheap and walk east along the south side. Cross Pudding Lane, Botolph Lane, Lovatt Lane and St Mary at Hill, then at the next turn right into Idol Lane. 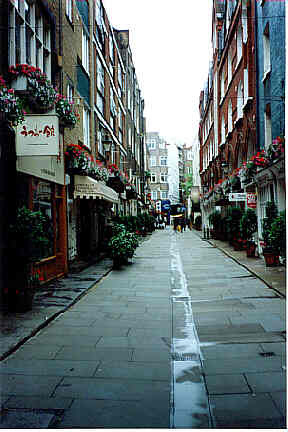 St Dunstan's Alley is about 40 yds on the left. Near to St Dunstan's Alley, at the bottom of Idol Lane, is the tower and remaining shell of St Dunstan in the East. The church is reputed to be of the 14th century and some form of renovation was carried out in the early 17th century. It was partially destroyed in the Great Fire of 1666 but the main structure of the church was left intact. Only the tower was so badly damaged that it had to be demolished. Rebuilding of the tower was by Wren in 1671 but the spire was not added until 1699. The whole creation is of spectacular proportion. Four pinnacles are set at each corner of the square tower and the crowning spire is supported on four flying buttresses. World War II brought an end to the life of St Dunstan's with the nave and chancel being destroyed in 1941. Wren's tower and steeple were also badly damaged but were later repaired. The shell of the church still remains - with trees and foliage growing out of its windows - and the whole of the area has been laid out as a garden by the Worshipful Company of Gardeners. It is an idyllic spot to relax for a while or enjoy a packed lunch away from the noisy traffic, but it naturally gets very busy during summer lunch times. Off the north side of Fleet Street, between Chancery Lane and Fetter Lane. One would quite naturally assume that where a church and a court of the same name exist in the same locality, they would be situated adjacent to each other - in this case they are not. The church of St Dunstan in the West is located some yards to the west of Fetter Lane, whereas St Dunstan's Court is about 150 yards away on the east side of Fetter Lane. Because of the distance separating church and Court we can deduce, therefore, that St Dunstan's Court had no direct association with the church and was so named merely because it was in the parish. This is perhaps the least interesting of the Fleet Street Courts; it leaves the main street by a covered passage and in a few paces, where the City Literature Institute is on the left, turns right and becomes Bolt Court. Beyond here is an intriguing cluster of alleys, all linked in an intricate maze. The area is steeped in historical associations and makes a fascinating place to explore. Although I have mentioned that the church and Court have no direct association it would nevertheless be inconceivable to pass so close to St Dunstan in the West without reference. It is the second church on the site to be dedicated to St Dunstan, although the construction date of the first building is unknown, but thought to be just prior to the Norman Conquest of 1066. St Dunstan was a 10th century Bishop of London who became Archbishop of Canterbury. He was canonised shortly after his death and as no new London churches were dedicated to Saxon saints after 1066 the date of building seems to point to the first half of the 11th century. By a cats whisker the church narrowly escaped damage in the Great Fire but it was in such poor structural condition that major repairs had to be carried out in 1701. However, these repairs could not rectify the wear and tear of centuries and in 1752 George Dance proposed rebuilding and submitted his plans. They were rejected and the old church remained standing for almost another eighty years until it was declared unsafe and pulled down in 1829. St Dunstan's was a famous landmark in Fleet Street, notable for its large clock face, and two giants housed in a stone porch and standing aside two bells on which they struck the hours with clubs. These time pieces were made in 1671 and when the church was demolished they were purchased by the Marquis of Hertford to grace his new house in Regent's Park. Lord Rothermere later came into possession of them and in 1935 returned them to their rightful place. John Shaw was the architect responsible for the present church, built in 1832 - it boasts a fine robust square tower with pinnacles at the angles and topped with a tall octagonal crown. Beneath, in the shadow of the tower, the two giants stand ready to gong the hours, and under the clock itself is the statue of Queen Elizabeth I, rescued from the old Ludgate when it was demolished in 1760. It is thought to be the only one made during the lifetime of the Queen and was originally positioned on the western aspect of the gateway; Elizabeth herself must have looked at it many times as she passed on her way to St Paul's. Also removed from Ludgate are the figures of King Lud and his two sons; they were on the eastern aspect, looking up the hill towards the Cathedral and now, appearing somewhat weathered, they shelter inside the porch. Since 1952 St Dunstan's has been one of the London Guild Churches and is the London home of the Romanian Orthodox Church. Leaving Liverpool Street Station, cross to the east side of Bishopsgate. Continue in a southerly direction, crossing Houndsditch and Camomile Street. St Helen's Place is then about 90 yds. St Helen's Place was once the most gloomy of cul-de-sacs but it was transformed by the replacement of buildings at the beginning of the century. The ornate entrance to the Leathersellers' Company Hall is here; the Hall itself occupies part of the site of St Helen's convent buildings and dates from 1878, but the entrance was replaced in 1959. As a company the Leathersellers' were first heard of about 1370 when along with the Pursers' they presented a request before the Court of Aldermen for regulations to be made against the sale of artificial leather, and to prevent deceptive colouring. Their first charter was granted by Henry VI in 1444 'to guard and oversee defaults', and to present names of offenders to the Mayor and Court of Aldermen. Shortly after their incorporation the Leathersellers' settled in premises near to London Wall but when St Helen's nunnery was dissolved in 1538 the Company purchased the buildings forming the domestic quarters and adapted them to suit their own needs. These ancient buildings were pulled down in 1797. A few strides to the north of St Helen's Place is all that remains of the tiny church of St Ethelburga, reduced to a derelict shell by the Bishopsgate bomb of 1993. At the time of writing neither the remains of the church or St Helen's Place are accessible, this entire area is closed off and under redevelopment on behalf of the Corporation of London. St Ethelburga's, dedicated to the sister of Erconwald, fourth Bishop of London, and first Abbess of Barking Abbey, was probably built during the mid 12th century but the present church is a replacement of about 1400. The original wooden spire was removed during a renovation project in 1775 and replaced with a squat square bell tower and turret with weather-vane. Until 1932, access to the church was between two minute shops which partly obscured the facade, with their upper storeys extending to just below the curve of the west window. This, the smallest and one of the oldest City churches, was never any great architectural monument; it was no museum of memorials to the rich and famous, but it was a beautiful relic and symbol of faith. In some respects St Ethelburga's has been fortunate; It escaped the Great Fire, and not one stone was dislodged by Hitler's bombs. Its devotees have triumphed in fighting off successive Bishops of London, hell bent on closing it down, but the IRA have sadly succeeded where everyone else has failed. After some controversial years the Bishop of London has finally decided that the church is to be rebuilt near to its original style. From St James's Park Station walk along Broadway towards Victoria Street and in about 100 yds turn right into Caxton Street. At the end of Caxton Street turn right into Buckingham Gate. St James's Court is about 50 yds on the left. The grand entrance to St James's Court furnishes the mind's eye with all it needs to flash an accurate impression of what lies beyond. If persuasive powers are a strong asset and the gateman flinches, there are many exquisite apartments to be seen here, set in like surroundings consisting of extensive gardens. Next door to the Court is the St James Hotel, and almost opposite, on the corner of Petty France and Buckingham Gate is the old Bluecoat School founded in 1688, now the National Trust Gift Shop and Information Centre. The little square building was built in 1709 for William Greene, of the family who founded the brewery in Stag Place, later taken over by Watney's. It was built to a design thought to be by the hand of Sir Christopher Wren. Set into the wall is a statue of a charity boy dressed in blue uniform and yellow stockings with the inscription below 'The Blew Coat School, built in 1709'. Turn right (west) out of Aldgate Station and walk along Aldgate High Street. Cross Houndsditch then in about 55 yds turn right into Mitre Street and right again into Mitre Square. St James's Passage leads from the east side of the Square. The whole of this intricately laid out triangle bounded by Leadenhall Street, Creechurch Lane, and Duke's Place forms the site of the Augustinian Priory of Holy Trinity, Aldgate. It was founded in 1108 on the site of parts of the parishes of St Mary Magdalen, St Michael, St Katherine, and the Blessed Trinity. A plaque in Mitre Square identifies this as being the location of the cloisters and the Priory church a little to the south. After the premature surrender of the Priory, in 1532, brought about by mounting debt, the buildings were acquired by Sir Thomas Audley who retained the domestic quarters but was delayed in his plans to demolish the church through problems in hiring labour. He lived in the enhanced property until his death in 1544 and through marriage the estate eventually fell to the Duke of Suffolk who did a deal with the City Corporation and scooped up a handsome profit on the sale. (See Sugar Bakers Court). Duke's Place, as the house was called, was quickly pulled down and the site was laid out with streets, most of which were lined with small cottages, each with a private garden. Although the church of St Katherine Cree was close by, the new residents felt detached and without a parish church, and so petitioned the Archbishop of Canterbury to build a new church in a newly formed parish. Permission was duly granted and the consecration and dedication to St James took place in 1622. One of its great claims of notoriety was the unannounced and uncertificated marriage ceremonies performed here. Because of an ancient law concerning the precincts of the old Priory, St James's, for some time, was outside the jurisdiction of the Bishop of London and so enjoyed the freedom of pleasing themselves on various matters. In 1873 St James's was declared surplus to requirements; the following year its parish was united with St Katherine Cree and the church was demolished. St James's Passage which provided access to the west door of the church is still here, in itself looking in some ways as it did in 1622. It leaves cobbled Mitre Square through four posts bearing the City of London coat of arms and wends on past the Village Snack Bar and the Diocese of London's Sir John Cass Foundation, towards Duke's Place. Near to the church of St James, the parish church of Clerkenwell, is a satisfying cluster of little alleys, all standing on the site of Clerkenwell's first religious house, St Mary's Nunnery. It was founded by Jorden Briset about the year 1100, and only a few years before the rather better known Priory of St John, Clerkenwell's second religious house. In fact the Priory was built on ten acres of land purchased from the nuns of St Mary's. Almost from the time of its foundation, the nuns church had been used as a place of worship by the general public, but the unacceptable disturbances caused by the coming and going led the nuns to open a private chapel for their use. It was dedicated to St James and although it was part of the nunnery church it functioned as a parish chapel without interference from the nuns. When the nunnery was dissolved by Henry VIII in 1533 and became Crown property it remained unused for many years and most of the buildings fell into disrepair. The domestic quarters were eventually pulled down but the church was left standing. By the mid-17th century the nave had collapsed and only the chancel, choir and tower remained intact. With no apparent use for the remains, the Crown donated the church to the parishioners of Clerkenwell who used it as their central place of worship for the next 130 years. During this time no major renovation work was carried out and the stability of the building deteriorated to the extent that in 1790 it was declared dangerous, and demolished. The replacement, present church, was completed in 1892 by James Carr and the steeple, built to the former design, was added later. On the outside of the eastern wall of St Mary's Nunnery, near the corner of Ray Street (off Farringdon Road) was Clerk's Well, which gave its name to the district. It was around this well that the parish clerks of London presented their annual religious performance, known as miracle plays. In the 1800's the well was unofficially used as a refuse disposal point and became choked with rubbish, emitting terrible smells. It fell into oblivion and was disregarded until it was cleaned out and reopened during excavation work in Farringdon Road about 1920. The well is still open to view on application to the London Borough of Islington.